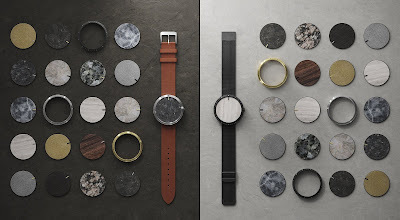 With its unique design, CLOAK is the first watch that lets you change the materials for every element. 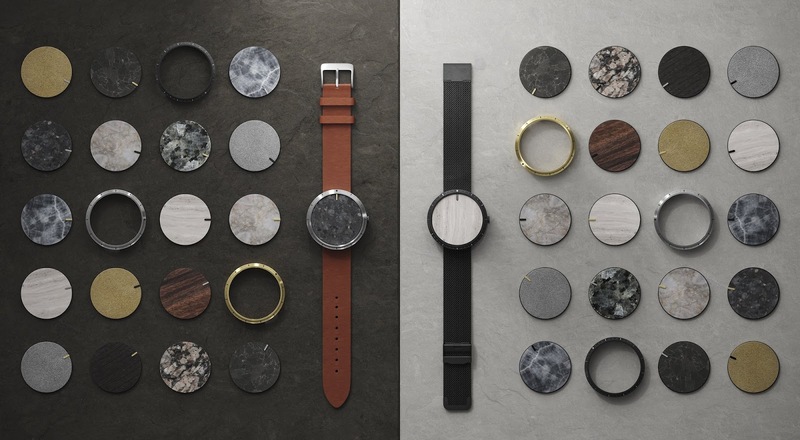 The face, bezel and strap can all be switched in seconds, giving you hundreds of possible material combinations to explore and wear. Order now! The code CLOAKLAUNCH will give a £25 discount until the 31st of July. Rhino was used throughout the process of realizing CLOAK, from early concepts to fabrication to packaging design. As the watch is configurable by the user, high tolerances were required and Rhino delivered this perfectly, handling +-0.05mm with ease. 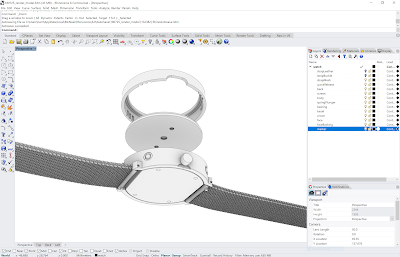 Rhino's wide range of export options meant we could easily send files and drawings to suppliers, fabricators, visualization teams in any format they required. This sped up the process significantly. We really enjoyed using the new edge softening feature in Rhino 6 - it is amazing what such a subtle difference this makes to realism. In-house and external 3D printing played a huge role in the development of CLOAK. Generating and exporting the required meshes was effortless. Perhaps one of our favorite aspects of using Rhino - during reviews we are able to switch to large-scale construction projects (often hundreds of meters in scale) in the same piece of software. We find the skills developed in one type of project are often transferable to a completely different scale and Rhino enables this. For a small studio, this is invaluable. And we haven't even mentioned Grasshopper yet - early stage design iterations were enjoyable to explore with instant feedback of both visuals and material volumes.